Meet Regional WRADvocate Jennifer Reed! Jennifer Reed is our amazing WRADvocate from Massachusetts. 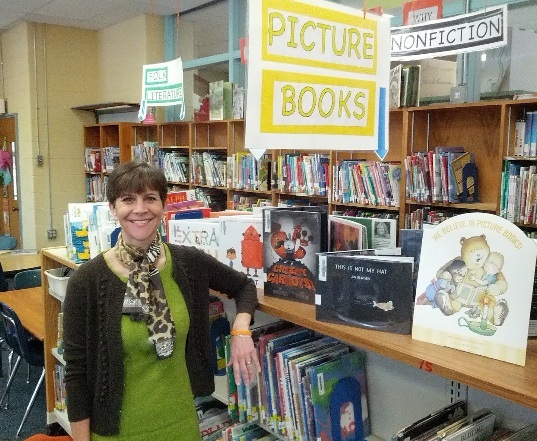 She is a librarian, a reader, and a self-proclaimed techie who loves using technology to capture the magic that happens when reader and story connect. "I celebrate World Read Aloud Day because I believe in the power of story. Stories are a shared experience, they connect people, cultures, and continents. I have witnessed a new student with limited English make an instant connection with another student through a book. Not only are stories a shared experience, I believe that stories inform and inspire, transform and heal. I have seen the impact of a story on my students. Rich or poor, urban or rural, old or young, readers are readers. Every child deserves this opportunity. Reading is a right, not a privilege. Join me in raising awareness of the importance of global literacy and help support LitWorld’s great programs. Let’s Read it Forward. I will celebrate by reading! At school, we’ll be reading to each other. We’ll also be connecting with other readers. We’ll start the day by Skyping with students in Germany. I have invited some special guest readers for the students in grade K-2. For my students in grades 3-5, we are planning Skype visits with other students as well as authors and illustrators. The teachers in my school are excited to celebrate this day with me. I am planning on plying them with inspiring stories that will demonstrate the power of story. I can’t reveal all the details of the day, yet, but it promises to be very memorable." Jennifer is also taking the World Read Aloud Day blogging challenge. Read her first and second posts, and for more inspiration visit her blog, Reederama. You can also find her on Twitter @libraryreeder.